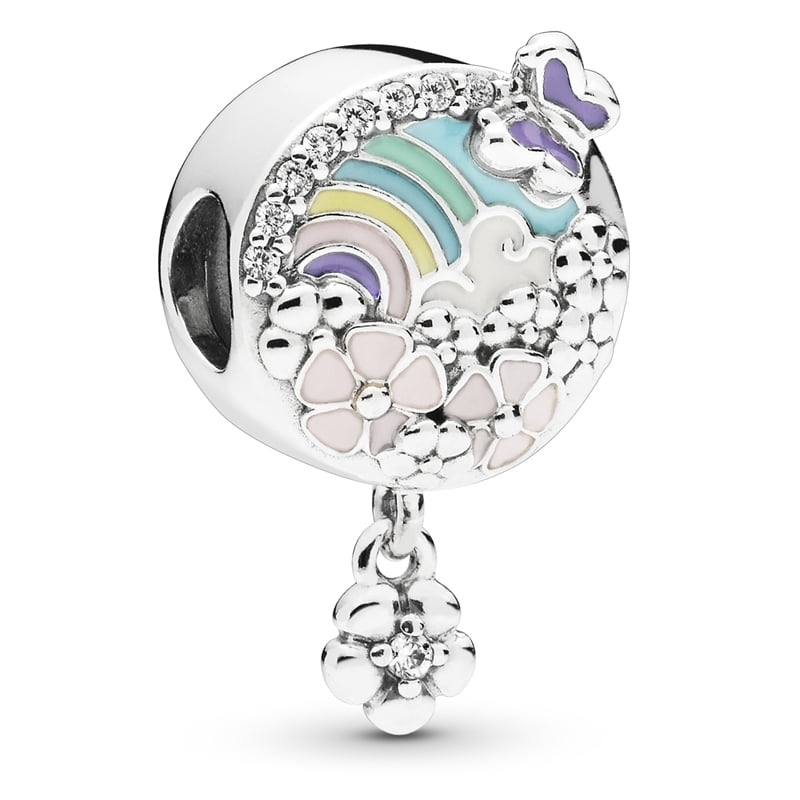 Pandora Flower Colour Story Charm. Made from sterling silver with a colourful hand-applied enamel rainbow, this delightful charm is guaranteed to make you smile whenever you look upon it. Featuring dazzling flowers and butterflies, it's the ideal piece to instantly brighten your bracelet.